No one organisation exists in a vacuum, rather they exist and interact with other similar and different organisation within the same business and regulatory environment. This relationship triggered by the fallout of the global financial crisis has brought the importance of regulatory compliance to the fore. As a result, a growing focus on promoting sound corporate governance and enforcing regulatory compliance, paired with growing foreign investor interest in the country, is driving interest in enterprise business applications in Nigeria. Global and local regulators are taking a tougher line on compliance than ever before. At the same time, Nigerian companies are finding themselves under pressure to improve financial reporting Governance, Risk and Compliance to address the demands of multinational business partners, investors, and customers. Nigeria is becoming an increasingly important player on the global economic stage, and one consequence of that is we are seeing a bigger focus on compliance. Government understands that a stable regulatory compliance framework is essential to attracting business investment and growing the economy, corporate entities are also aware that compliance is inevitable if they are to stay in the business ocean. While IFRS is important because it makes global comparison of financial statements for companies easier. Compliance ensures transparency, reliable disclosure and a better quality of financial reporting, all of which give investors more confidence in the companies in which they are planning to invest. Recently, there is an upsurge in Foreign Direct Investment (FDI) in Nigeria, we ‘re seeing many international companies looking to invest in Nigeria, and these investors want a clear view of the financial health compliance status, risk management practices of the companies they are evaluating as possible partners and customers. Nigerian enterprises are investing in ERP solutions to cater for a newly demanding regulatory environment. For example, LASER offers a compliant software packages (Legal compliance Solution (LLCS) ) that helps businesses to produce the reports inline with internal and external compliance, local and international as well as other contractual one-off compliance requirements. The software makes it easier to capture data and information required for statutory reporting. 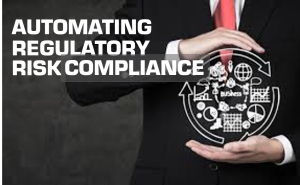 In this dynamic regulatory environment, companies that do not have automated software in place may find it difficult to keep pace with compliance challenges, where implication is far reaching. Our LLCS which could be deployed as a cloud or web-based solution comes with laws, rules, and guidelines, streamlined according to the industry (bank, non-banks, manufacturing, oil & gas). Our LLCS is Risk weighted to make controls development a lot easier. It ensures paperless process and increase management & board’s confidence. All of these features eradicate penalties and fines and ensure compliance managers can go to sleep with both eyes closed.